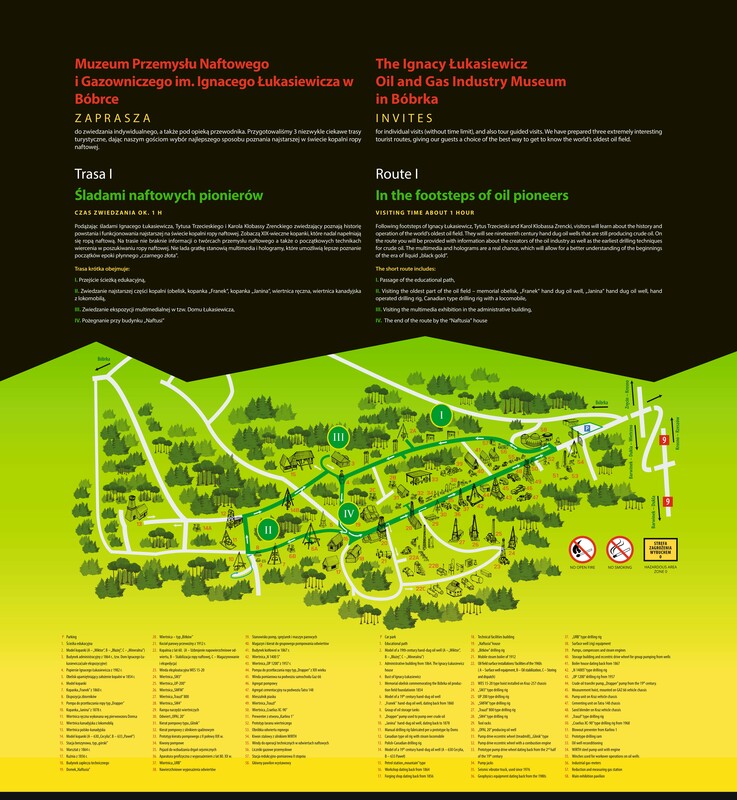 The Ignacy Łukasiewicz Oil and Gas Industry Museum in Bóbrka I N V I T E S for individual visits (without time limit), and also tour guided visits. We have prepared three extremely interesting tourist routes, giving our guests a choice of the best way to get to know the world’s oldest oil field. 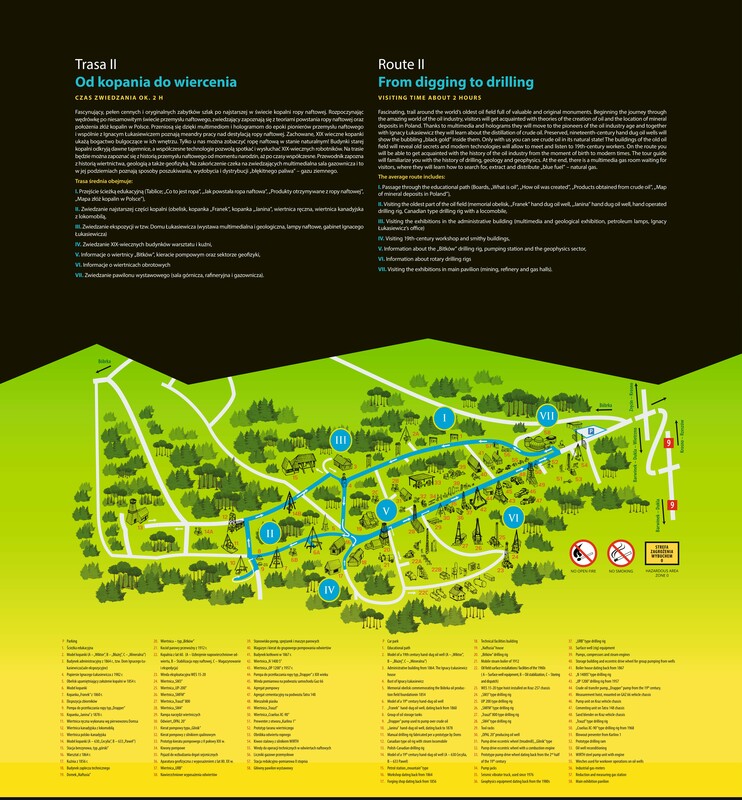 Following footsteps of Ignacy Łukasiewicz, Tytus Trzecieski and Karol Klobassa Zrencki, visitors will learn about the history and operation of the world’s oldest oil field. They will see nineteenth century hand dug oil wells that are still producing crude oil. 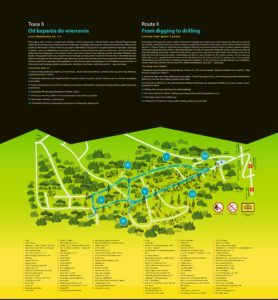 On the route you will be provided with information about the creators of the oil industry as well as the earliest drilling techniques for crude oil. The multimedia and holograms are a real chance, which will allow for a better understanding of the beginnings of the era of liquid „black gold”. Fascinating, trail around the world’s oldest oil field full of valuable and original monuments. 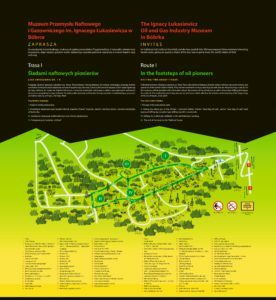 Beginning the journey through the amazing world of the oil industry, visitors will get acquainted with theories of the creation of oil and the location of mineral deposits in Poland. Thanks to multimedia and holograms they will move to the pioneers of the oil industry age and together with Ignacy Łukasiewicz they will learn about the distillation of crude oil. Preserved, nineteenth-century hand dug oil wells will show the bubbling „black gold” inside them. Only with us you can see crude oil in its natural state! The buildings of the old oil field will reveal old secrets and modern technologies will allow to meet and listen to 19th-century workers. On the route you will be able to get acquainted with the history of the oil industry from the moment of birth to modern times. The tour guide will familiarize you with the history of drilling, geology and geophysics. At the end, there is a multimedia gas room waiting for visitors, where they will learn how to search for, extract and distribute „blue fuel” – natural gas. VII. Visiting the exhibitions in main pavilion (mining, refinery and gas halls). tourists who want to know not only the history of the Bóbrka oil field, but also drilling, geophysical and geological techniques. The route will include detailed information on the pioneer days of the mine’s creators. 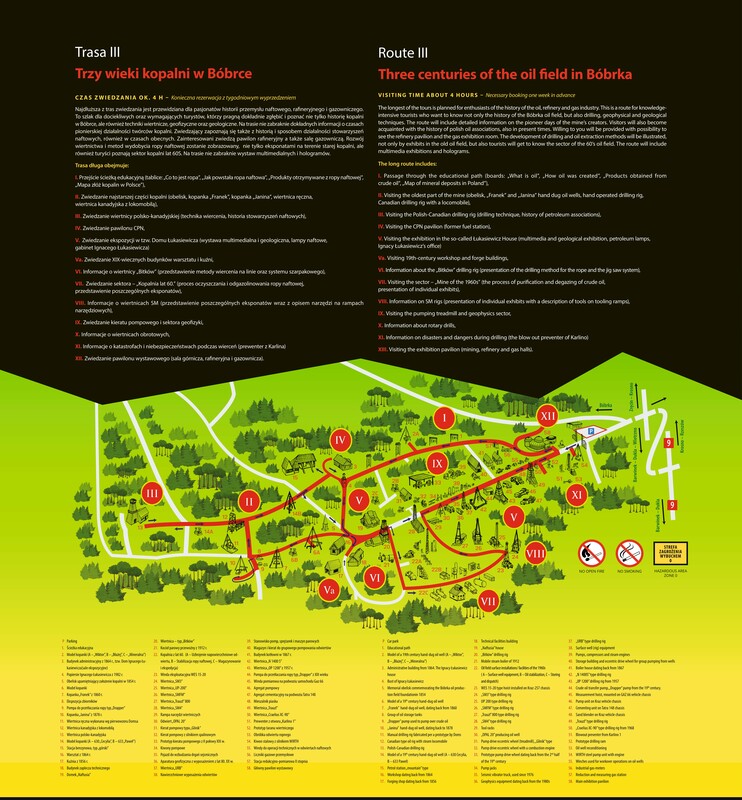 Visitors will also become acquainted with the history of polish oil associations, also in present times. Willing to you will be provided with possibility to see the refinery pavilion and the gas exhibition room. The development of drilling and oil extraction methods will be illustrated, not only by exhibits in the old oil field, but also tourists will get to know the sector of the 60’s oil field. The route will include multimedia exhibitions and holograms. XIII. Visiting the exhibition pavilion (mining, refinery and gas halls).